I took Little B for her MMR this afternoon. She's already had German Measles (Rubella), despite the fact that children are supposed to have been immunised for years and I thought it was an illness that was almost consigned to the history books. My poor baby got it just two weeks after having Chicken Pox at just 7 months! 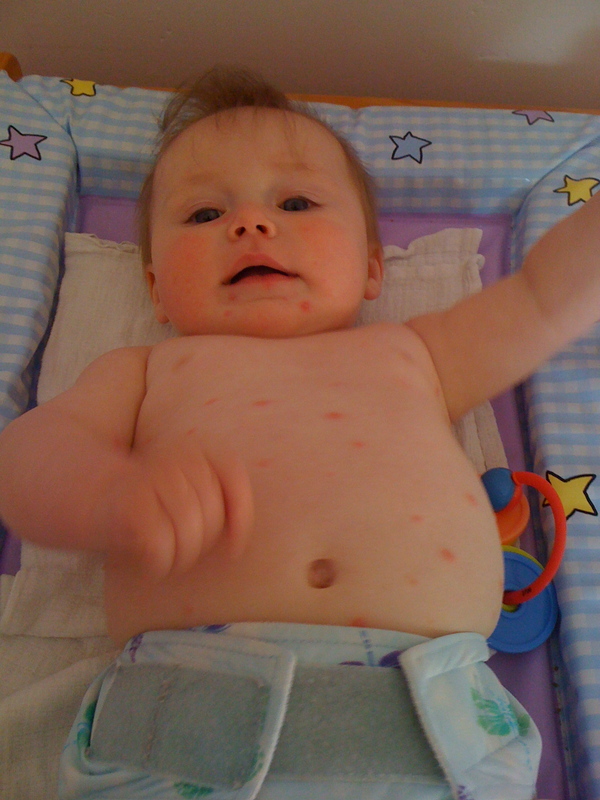 Even though she has already had German Measles, we were still advised to have the triple MMR. Coincidentally, the MMR appointment came on the same day that I became aware of advice from the UK's Health Protection Agency (HPA) for students to ensure their vaccinations, particularly the MMR, are up to date before returning to university this year. Many of today's students are the same children who were not immunised by their parents due to the scare over the since disproven link between the MMR vaccine and autism. Rather more worrying, many students don't even know if they were immunised as children or not! It seems to me that the usual stories about meningitis outbreaks among freshers at university will tragically be accompanied by stories about students being taken seriously ill and even dying from illnesses they should have been protected from. Already this year there has been double the number of reported cases of Measles compared to last year (777 to the end of July 2011 compared with 374 for the whole of 2010). If you know anyone about to return or even start university this year, please get them to check if they have been vaccinated and make them aware of the early symptoms of both meningitis and measles. Meningits symptoms include vomiting and a headache, often accompanied by a stiff neck and dislike of bright lights. Some meningitis infections can be accompanied by blood poisoning, which can be identified by a fever and a blotchy rash. Press a glass against the rash and if it doesn't fade call for medical assistance. Symptoms of measles include a fever, cough and rash.